AER LINGUS HAS set in motion plans to potentially move dozens of IT jobs out of Dublin as part of an ongoing restructuring of its Irish workforce. Staff from the airline’s IT department were told this week that the carrier is planning to migrate some of their roles to parent company IAG. It is not known yet how many jobs will be affected or the number of roles that could be moved overseas. It’s believed the airline moved other functions of its IT unit to India in 2016. Fora understands the airline currently employs 40 IT staff in Dublin and that some roles could be affected as early as April. A spokesman for Aer Lingus confirmed that workers were briefed on the restructuring plans at a management meeting during the week. “We held a meeting (on Wednesday) with our IT team in order to brief them on the planned movement of some of our IT functions to IAG Global Business Services,” he said, referring to the Krakow-headquartered unit that handles finances, IT and other duties for the aviation group. Though based in Poland, IAG Global Business Services also has offices in Dublin, London, Spain and India. 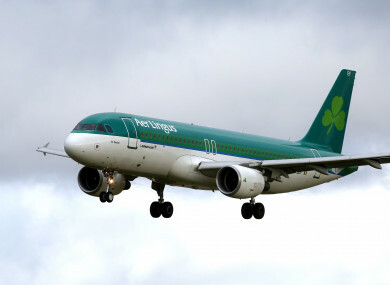 “This type of change has been flagged for a number of years as it was always envisaged as one of the organisational efficiencies that would arise from Aer Lingus joining IAG in 2015,” the spokesman said. He added that staff were told that “some of their reporting lines would change in the immediate term and that some functions would move to IAG Global Business Services by the end of 2018″. They were also informed of “plans to restructure IT functions that won’t be moved to IAG Global Business Services”. “We are not in a position to say how many jobs will be impacted at this stage, as our focus is on briefing the IT team early on in the restructuring process, and when specific details are available they will be the first to know,” the spokesman said. This is the latest in an ongoing restructuring of Aer Lingus’s workforce. As previously reported by Fora, the airline closed its customer complaints department in Dublin at the end of February. A group of nearly 30 guest relations workers brought Aer Lingus to a Workplace Relations Commission meeting in February in an effort to stop the airline from moving their jobs to the US. The workers voted to reject recommendations set out at the hearing and Fora understands they are looking to set a date for a Labour Court hearing. Email “Dublin IT jobs could be sent offshore in Aer Lingus's latest shakeup”. Feedback on “Dublin IT jobs could be sent offshore in Aer Lingus's latest shakeup”.